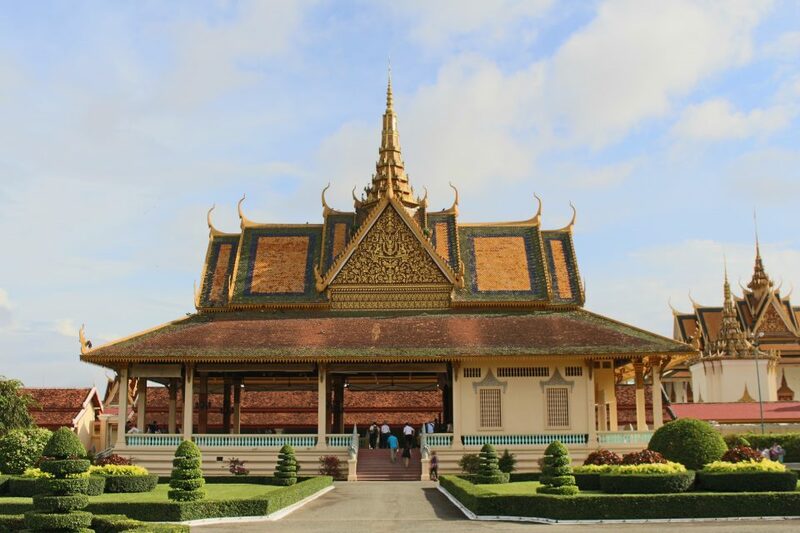 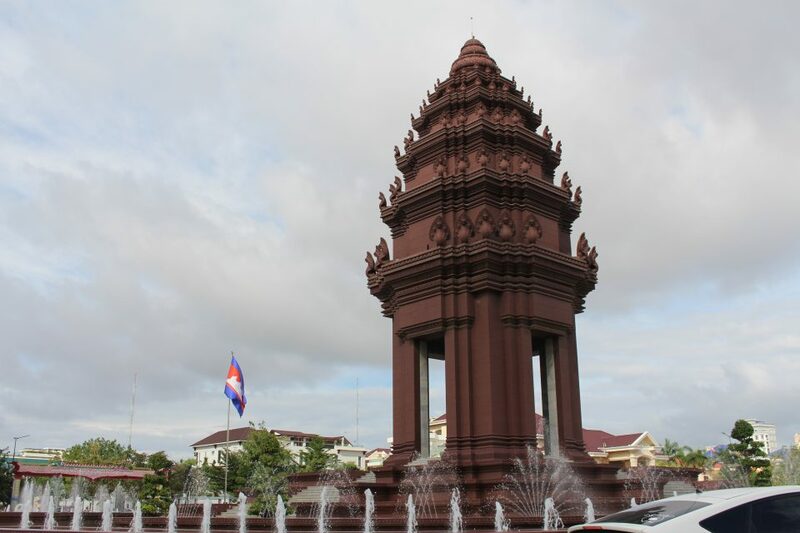 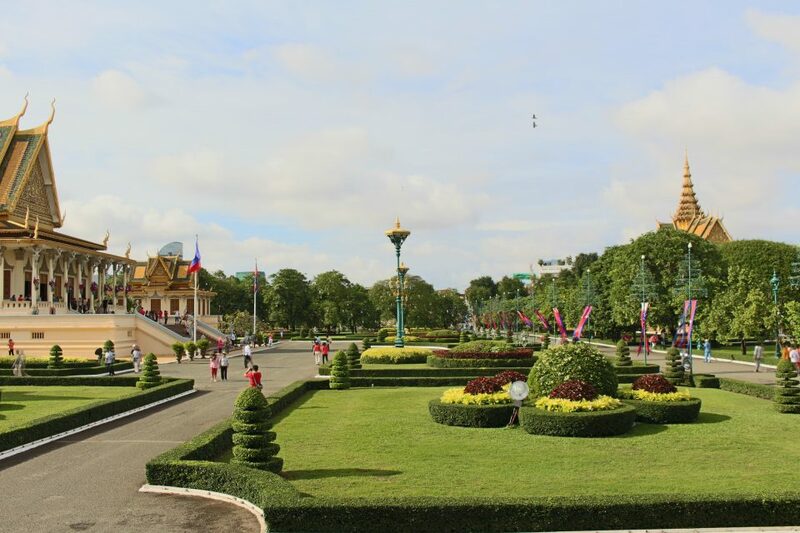 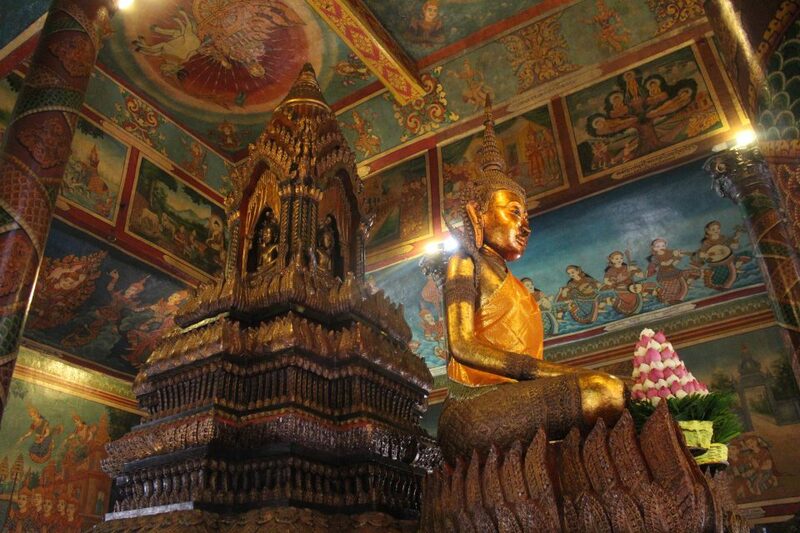 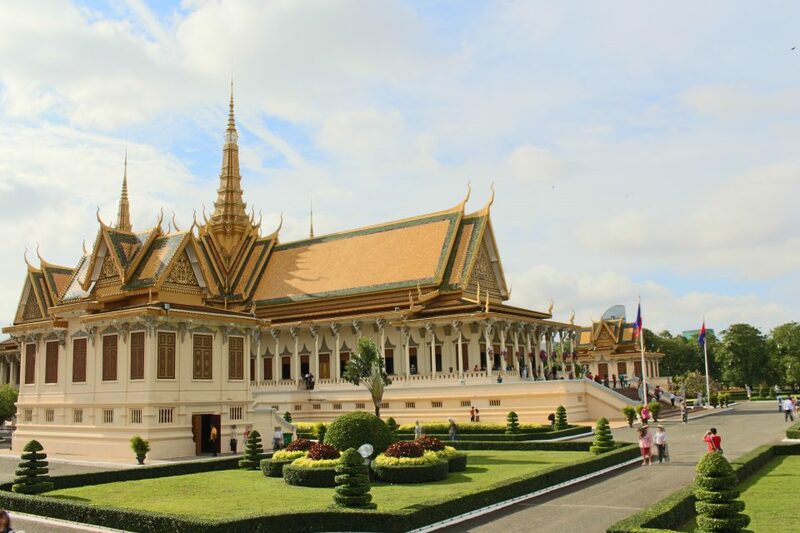 Phnom Penh is filled with incredible history. 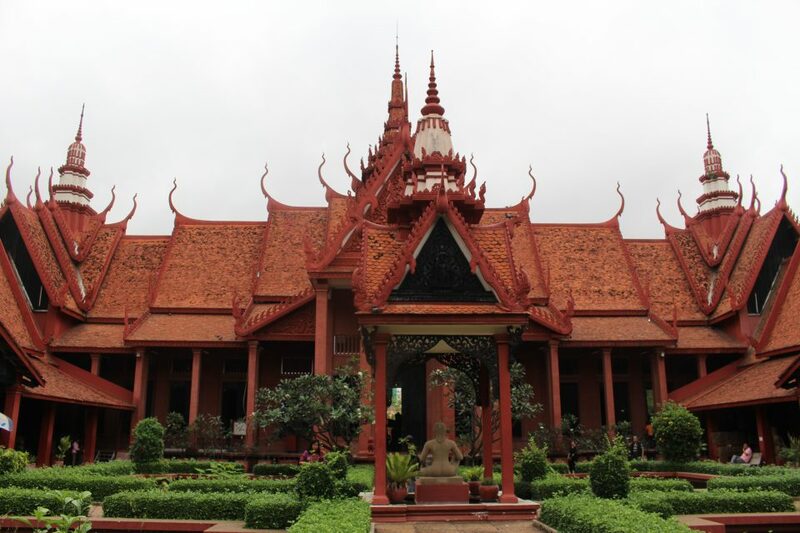 To begin the journey, we explored the National Museum of Cambodia. 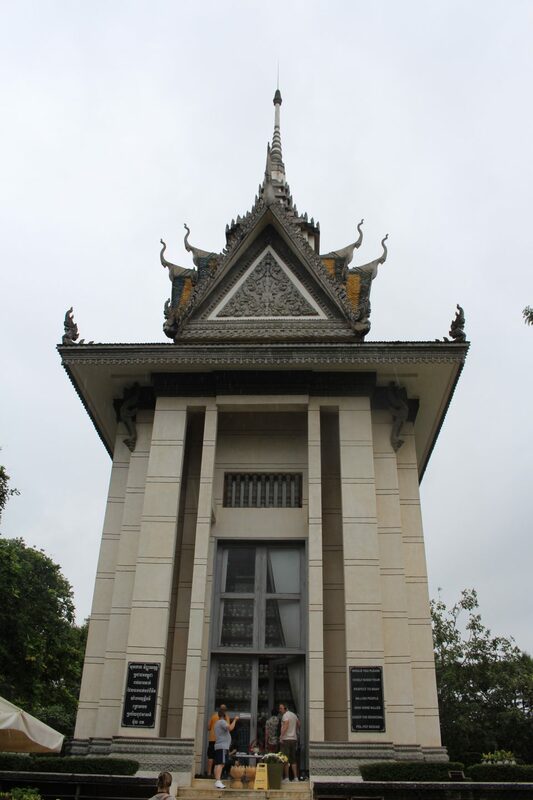 Its inner courtyard is beautiful, and there are priceless relics all around. 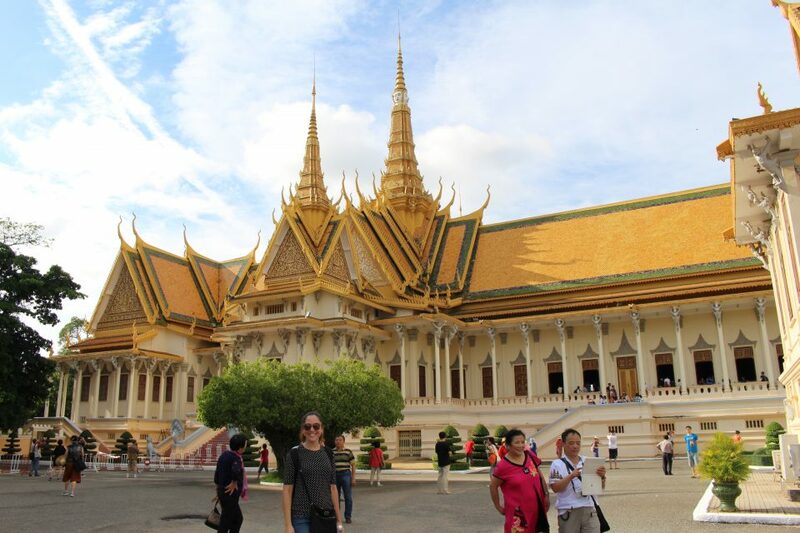 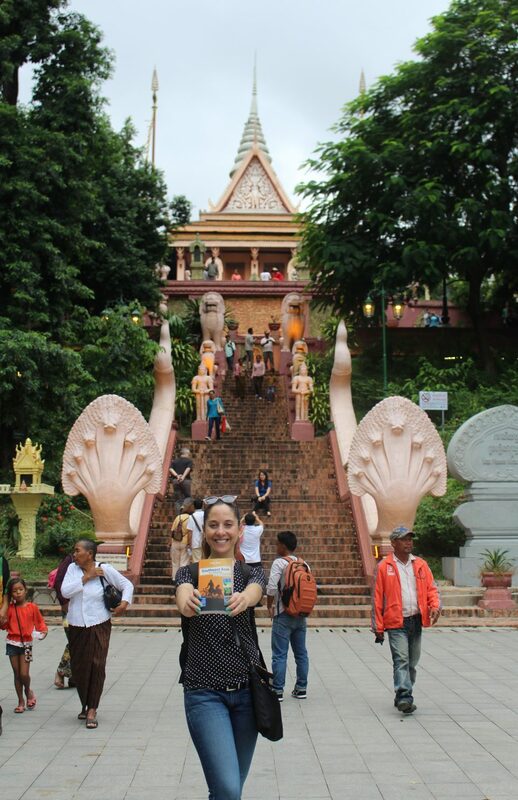 After this, we visited Wat Phnom. 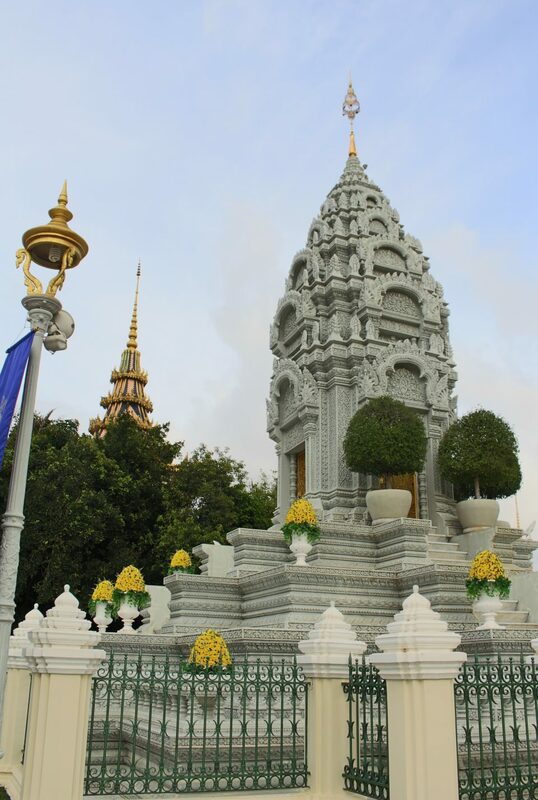 This popular and active Buddhist temple is the tallest religious location in the city. 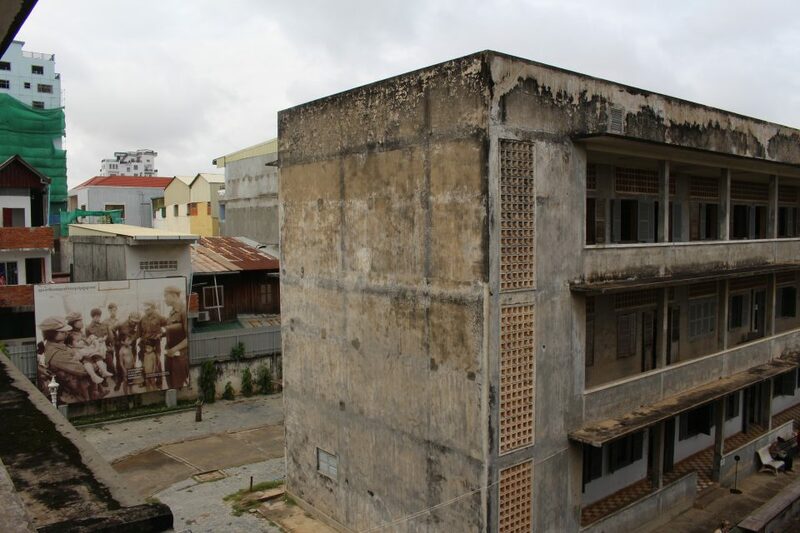 A tuk-tuk ride away, we visited some of the saddest locations in Cambodian history. 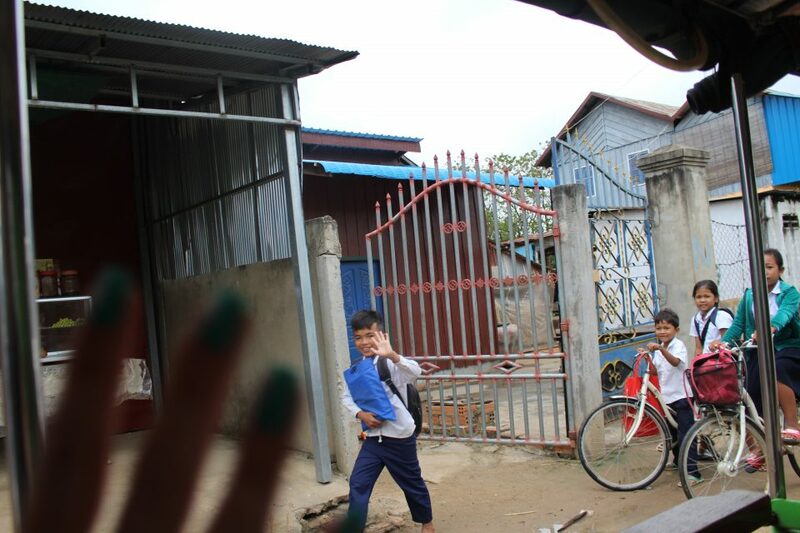 The friendly locals we saw on the way prove that despite the past, the Cambodian spirit is alive and strong. 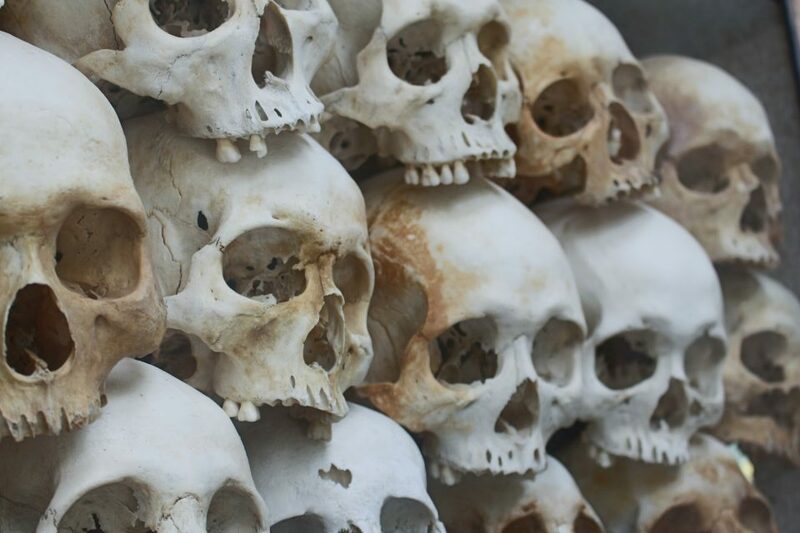 In the late 70s, the Khmer Rouge extremist Cambodian government murdered millions of its own people. 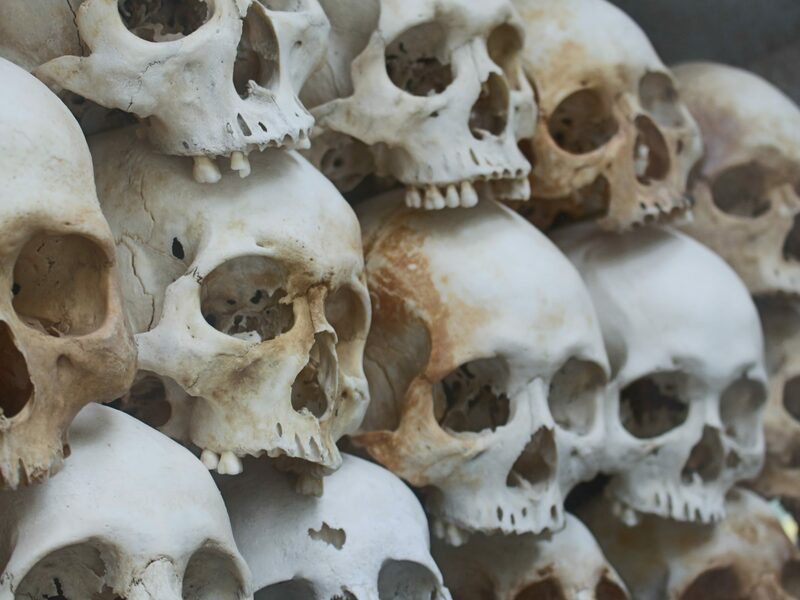 The genocide was conducted in many killing fields where bones of the victims were found and are today honored in sanctuaries. 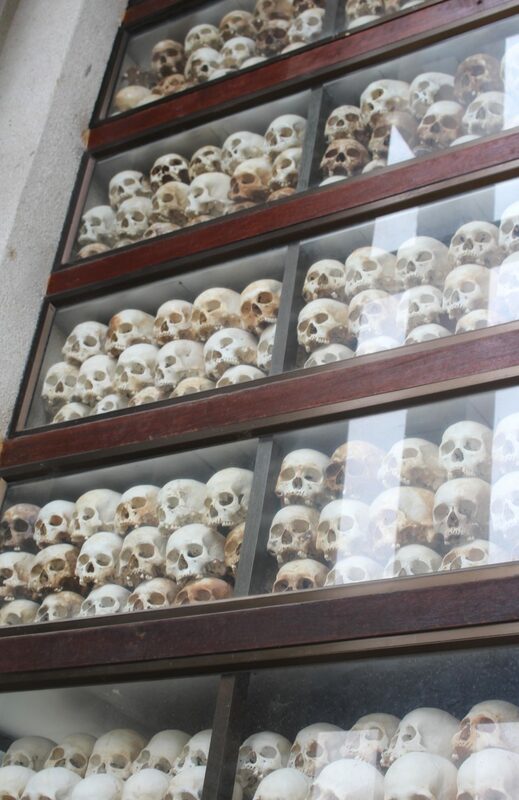 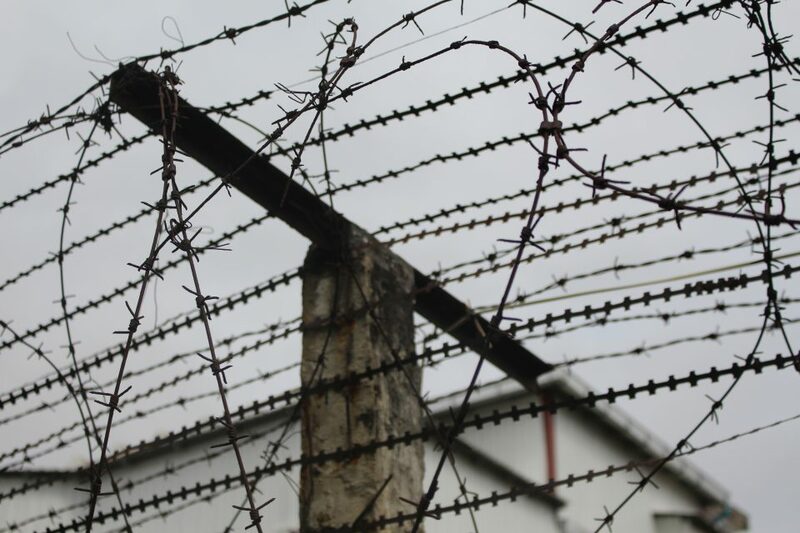 Some people were sent to the killing fields, whereas some went to jail to hand over forced confessions. 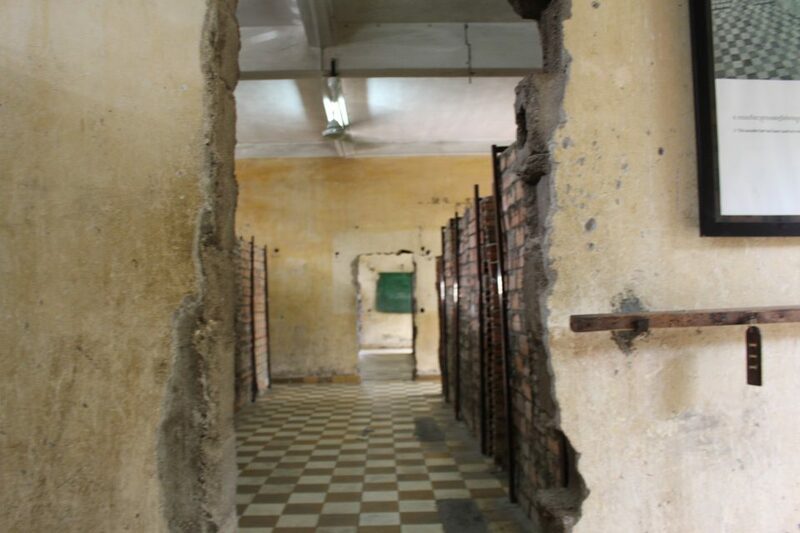 Citizens who were artists, teachers, engineers, and other thinkers were systematically jailed and tortured. 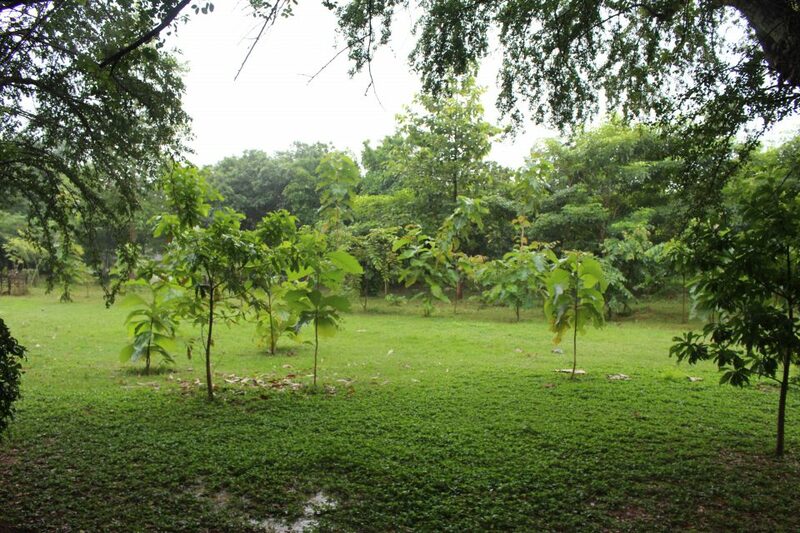 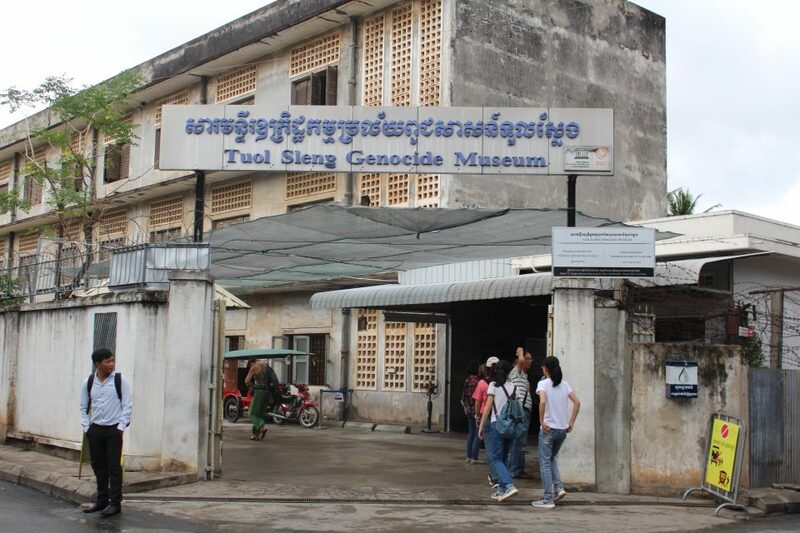 The Tuol Sleng Genocide Museum (S21 Prison) was once such location of the genocide. 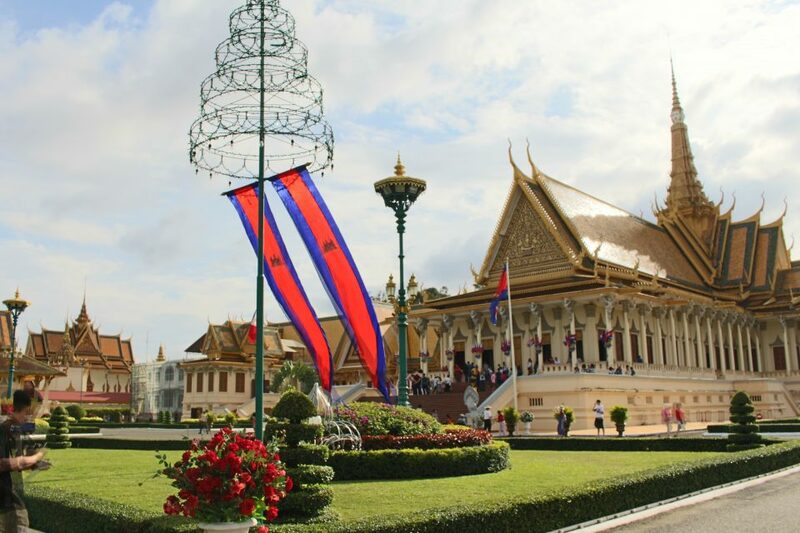 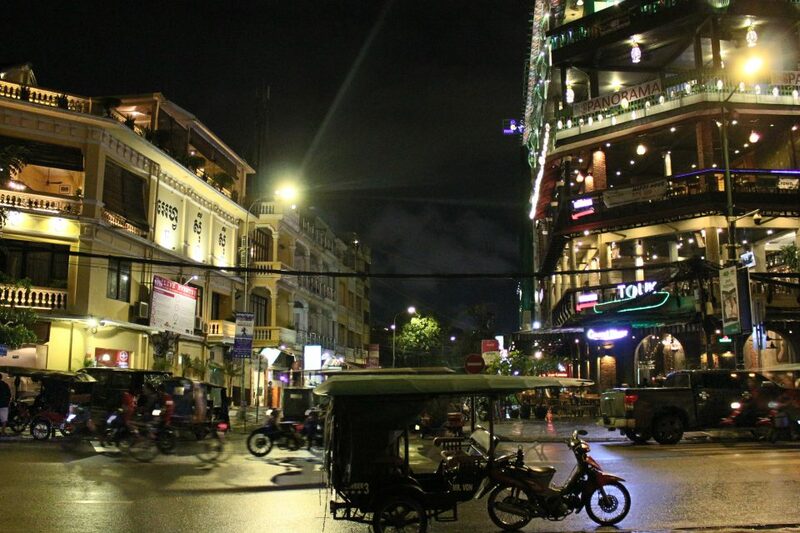 After the regime crumbled, Cambodia has been revitalizing itself. 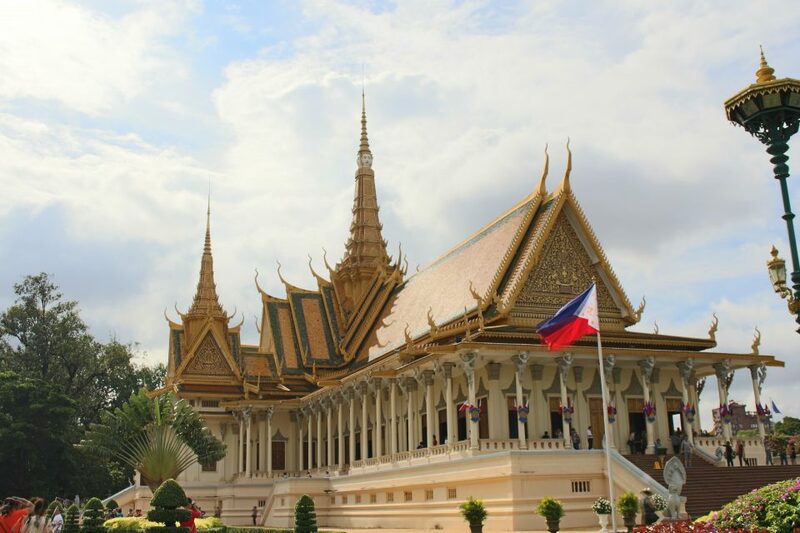 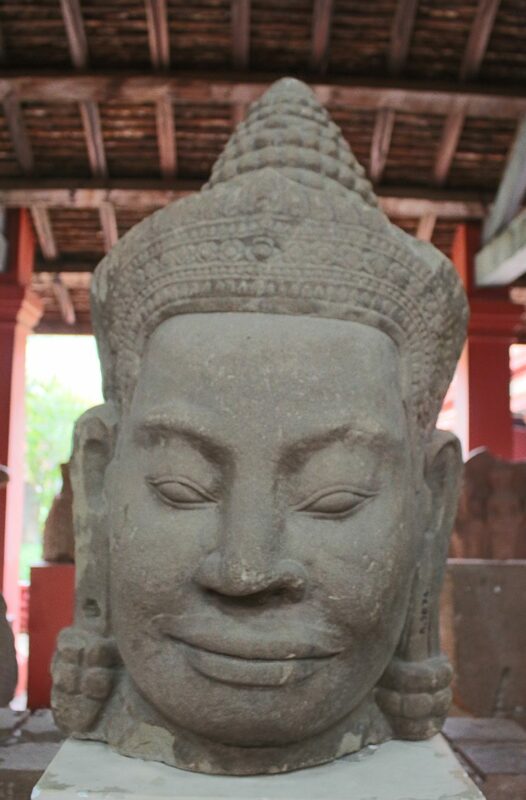 Especially after a turbulent past, Cambodia is striving to preserve and promote its rich culture and art forms. 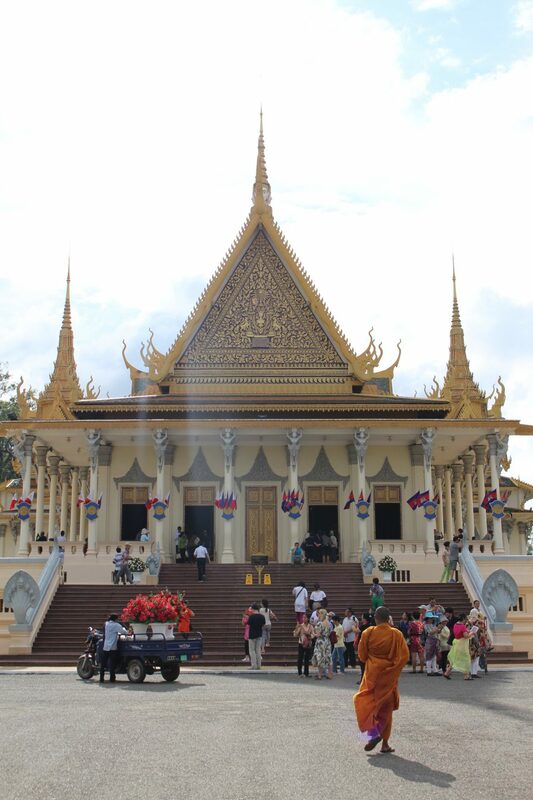 Back at the museum, we attended a fantastic show of traditional Cambodian dances. 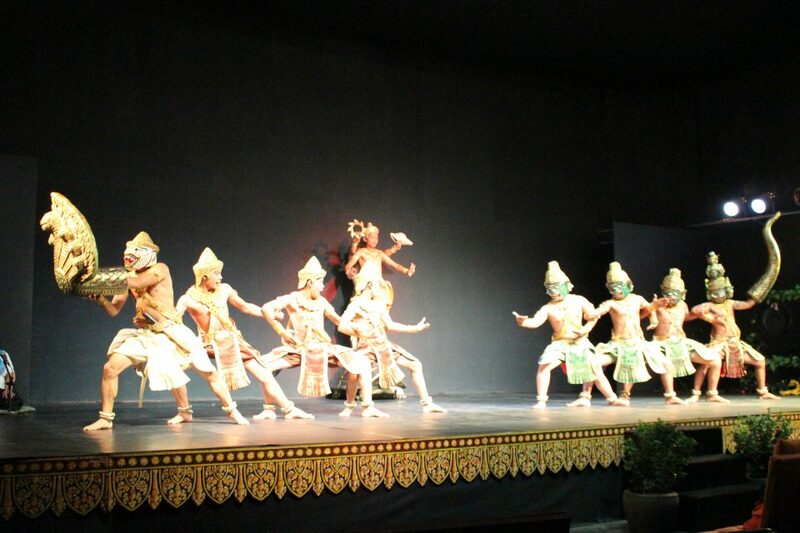 It was hard not to have a huge grin from beginning to end, with the young cast completely enthralled with their passion for the beautiful dance and music. 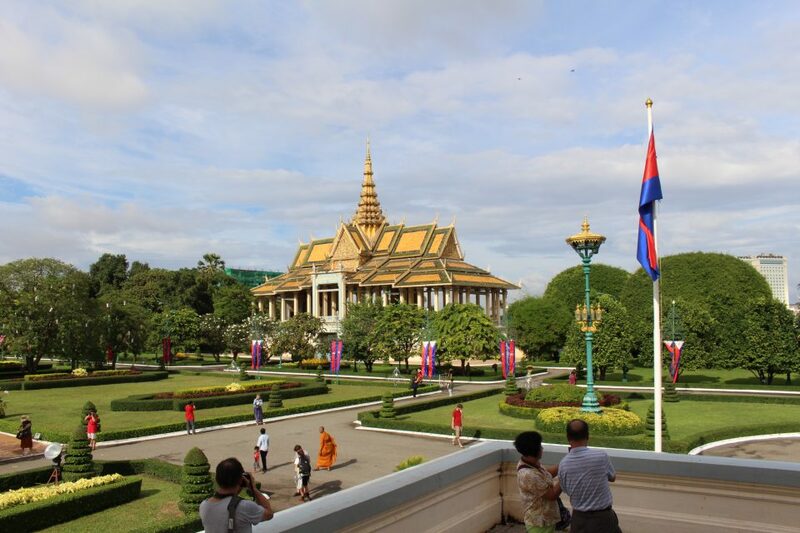 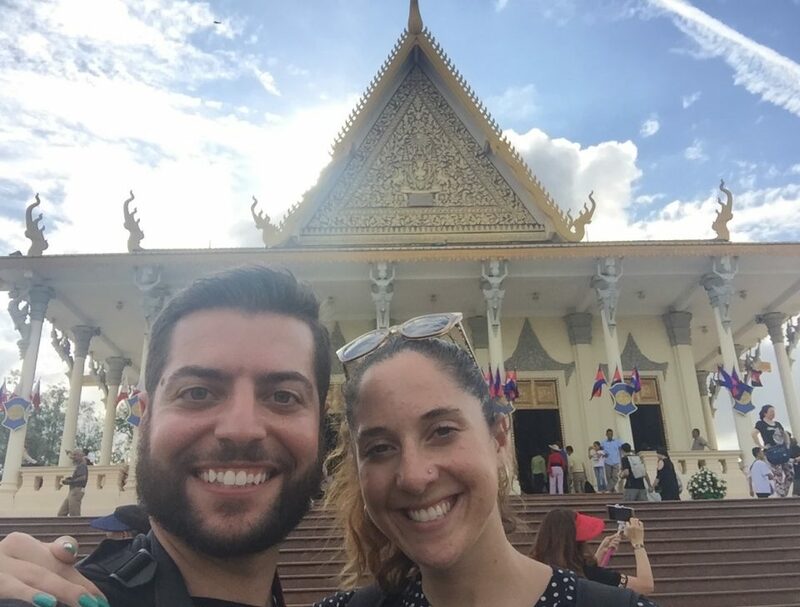 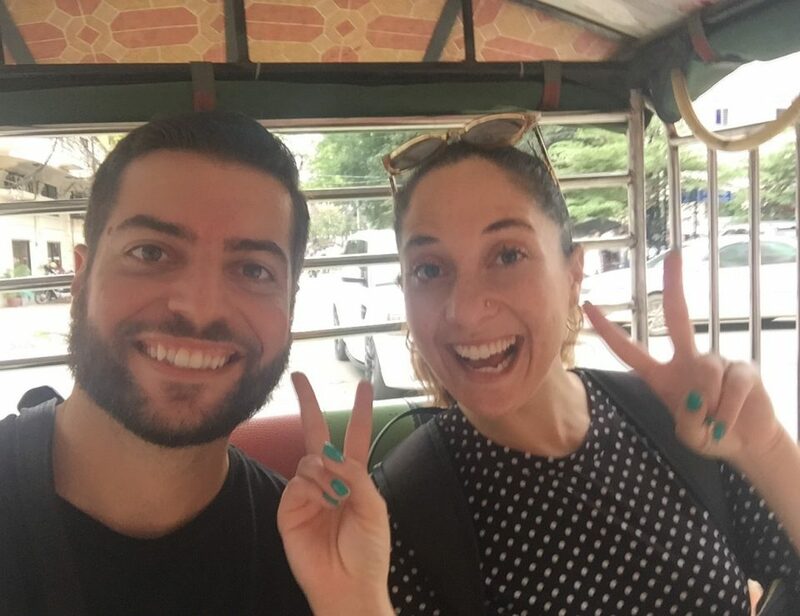 Here’s to Cambodia continuing its path to prosperity!